Interested in receiving updates on youth programming at BSA Space? Become a Friend of BSA Space. Sign up now, it’s free! Comments Off on KidsBuild! Registration is OPEN! The words of William Shakespeare have inspired designers for 500 years. If all the world’s a stage, every place and space we design is a set for our lives. In theater design, it is the set designer’s job to envision the scenery, furniture, and props that create the environment for the action to take place and the play to unfold. In this hands-on program, students will learn about how the setting of a play influences the action and the mood, and then use art, mathematics, and language arts skills to create a three-dimensional model as a setting for their own story. This program is for children age six to nine. This event is part of a five-session program running from January 23 to February 13, 2017. To register, call the Boston Public Library at 617-325-3147. October 15: Canstruction! Journey Into Space. 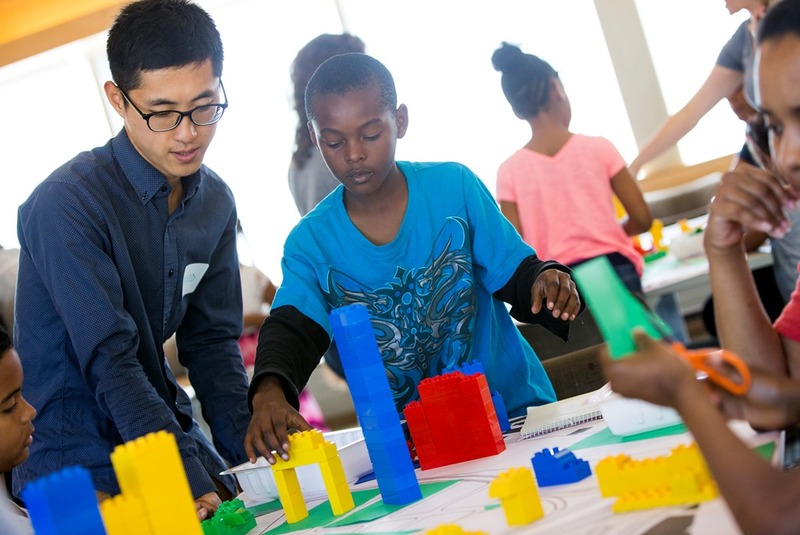 The BSA Foundation received a grant from Hanley Wood for Learning By Design to work with families in LEGO® City, an innovative program that will engage area young people and their families in the first citywide plan in 50 years called Imagine Boston 2030. 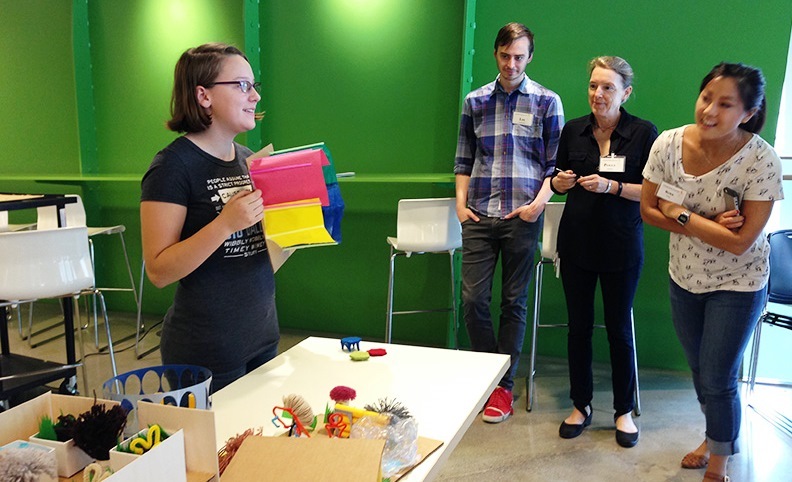 This spring, volunteers and design educators will hold workshops across Boston in which participants will go through the design process to envision their city in 2030. 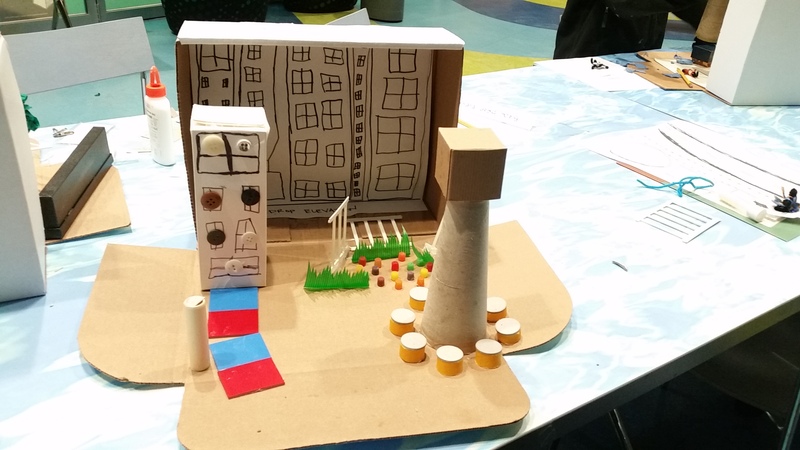 The workshops will begin with architects and urban planners introducing families to urban design concepts. Participants will then brainstorm their own ideas about how to create a city that is more beautiful, resilient, and equitable. 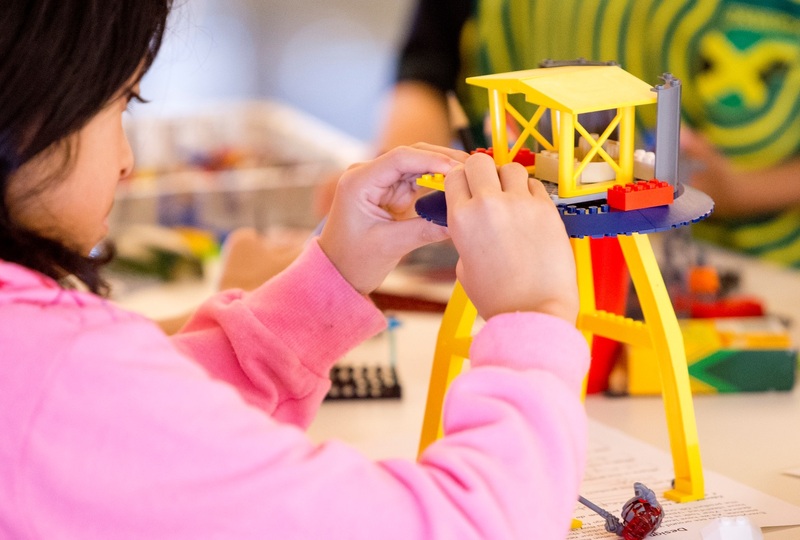 Young designers will construct their ideas using LEGO® bricks, and then present their ideas to their peers and to a panel of design professionals. Workshops are scheduled in East Boston, Mattapan, Roslindale, Downtown, and Roxbury. Contact us for more information. Please see our Volunteer Form to volunteer for any of these events.